How many of you are going to start a diet? On a diet? Or have been on a diet for as long as you can remember? To many, a diet is where you basically deprive yourself of certain foods and where you cut down your calories dramatically thinking this is the way to lose weight. The first few weeks it possibly works with you feeling great, but what happens when you start eating normally again, and you increase your calorie intake from say 1200Kcals to 2000Kcals? Well you’re going to gain weight obviously. Also, how many of you get fed up with the diet that you’re on simply because you feel deprived from eating nice things and all you can have when you go out is a boring salad. With all the stress you are putting your body under, your metabolism also slows down, and you'll also start losing muscle mass. I remember when I was younger I used to say that I wanted to go on a diet to lose weight, but since I've started training to become a personal trainer I now understand what a diet really is. Eating healthy is about getting the right balance of nutrients for each individuals energy needs. 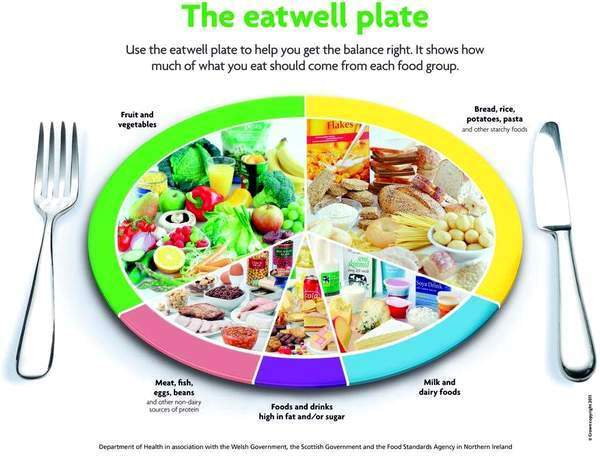 The eatwell plate is a model that visually shows you how to achieve a balance of nutrients and energy. It's showing what we need to eat more of, what we need to eat in moderation, and what we need to eat less of. The model represents the proportion of each food group that needs to be consumed on a regular basis to form a healthy diet. Not necessarily every meal time, but what is needed in a day. As you can see, fruit and vegetables, and bread, rice, potatoes, and pasta have the largest sections, you should aim to eat plenty of these each day, opting for wholegrain whenever you can. For the two sections, meats, fish, eggs, and beans, and milk and diary foods, try to choose lower fat alternatives whenever possible. Then for the foods higher in fat, and sugar, try not to eat these too often, and when you do, only in small quantities. Looking at this, you can see that you're not cutting everything out, or not being allowed certain things, but more so about getting a correct balance that enables you to live a healthy life. 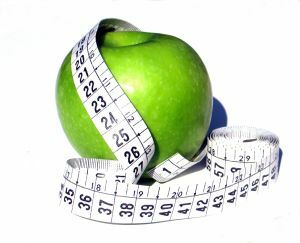 If you really want to lose weight and keep it off for the long run, then you need to make a lifestyle change. You will need to stop eating your takeaways, chips, processed foods and the sweets you constantly eat, and instead start eating more healthily. That means stop frying your foods and eating the breakfast that you've possibly always been against. You'll find there's a lot you can still eat, actually, most things to be honest, just not all that 'junk food' every single day. You don't need to starve yourself to lose weight, you just need to understand how to be healthy, and this doesn't mean you cannot treat yourself every now and then, but saying that, a 'treat' isn't a binge. Start exercising a few times a week for about an hour, even if it's just walking. Exercise will slowly build muscle mass, which in turn will kick-start your metabolism, and you'll burn more calories each day because of this. You will need to make sure you drink plenty of water throughout the day, rather than fizzy drinks, as this helps your body break food down easier and stops you holding onto water weight. Dieting never works in the long run anyway, just look at all those people who say 'I’ve been dieting all my life and nothing works', of course it's not working you're dieting, you're feeling deprived & sink back into your old habits, then say it's the diets fault. Learn to live a healthy life and kick the bad eating habits along with those “diets” once and for all you'll have much more energy for it and what's more, you'll look a lot better as well as having much more confidence for it. No one really wants to spend their life dieting, after all you've only got one life so make the most of it and enjoy it to it's fullest, just be healthy. By the way ... yes you can still eat things like Spaghetti Bolognese, so don’t worry ... it’s not that bad.